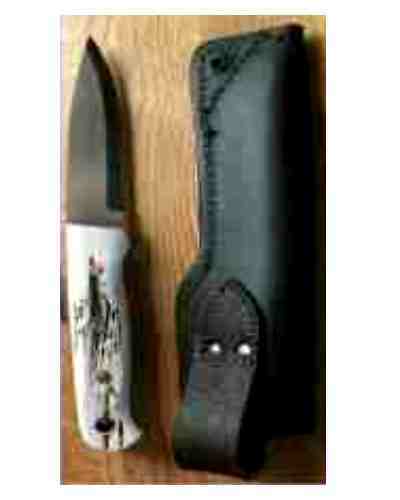 Genuine Made in Sheffield Bushcraft knife with 4" carbon steel blade with Buffalo handle. Comes will full sheath. 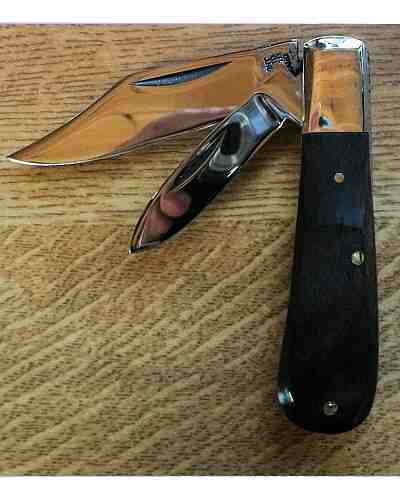 A sturdy outdoor survival knife hand made in Sheffield from 01 Carbon Tool Steel. Hardened to Rockwell 56/58, the edge is ground through rather than whetted to achieve a superbly sharp edge. Buffalo haft and lanyard hole. Overall length 22cms (~8.5ins), supplied with high quality leather sheath. The blade is 4.5mms thick providing excellent strength, weight and balance. The knife weighs approx. 240gms (~7.5 ounces).